Disclosure: The Just Happiling Blog was not compensated to share this post's content, nor received samples of the product described in the linked review. For more information about the endorsements of this event, please read the Giveaway Disclosure at the bottom of this page. We have joined a team of great bloggers to bring all of our fabulous followers the chance to win this awesome prize. 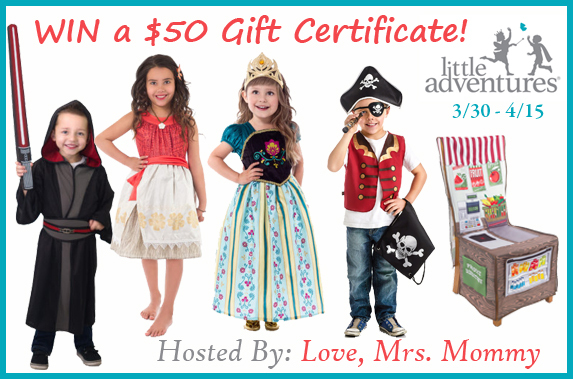 One lucky participant will win a $50 gift certificate to little adventures. So be sure to follow the instructions below, and share with your friends who you think would like to win too. 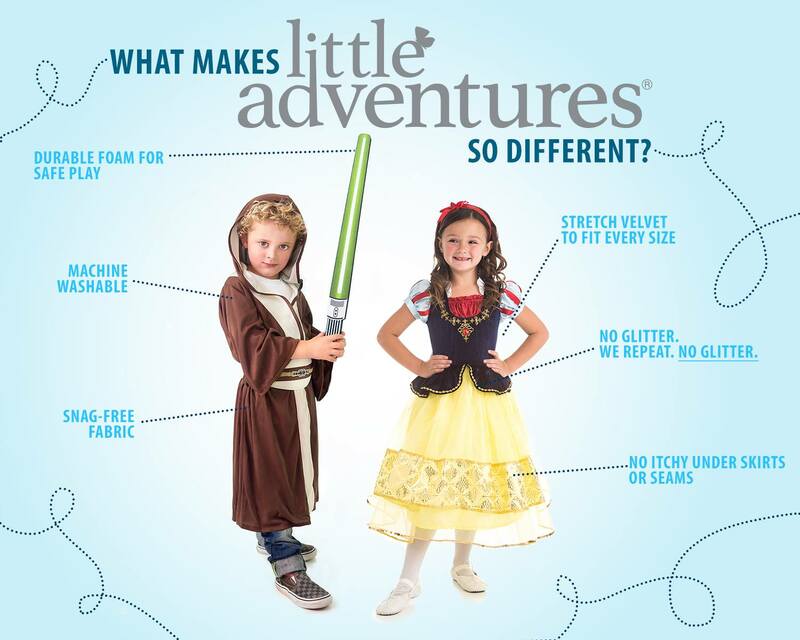 Click here to read Love, Mrs. Mommy's full Little Adventures review! Can't wait to see if you won? Use promo code "lapromo-lmm" to save 15% off your order! Good through the month of April! Giveaway Disclosure: Love, Mrs. Mommy and all participating bloggers are not held responsible for sponsors who do not fulfill their prize obligations. Love, Mrs. Mommy received Little Adventure products at no cost to facilitate the review linked in the post above. This giveaway is in no way endorsed or sponsored by Facebook or any other social media site. The winner will be randomly drawn by Giveaway Tools and will be notified by email. Winner has 48 hours to reply before a replacement winner will be drawn. If you would like to participate in an event like this please contact LoveMrsMommy (at) gmail (dot) com.